I came into the story of Michael Morone late, since I was late checking my email. But it quickly got my attention. I’m female. When I was a kid, I played with both My Little Pony and Star Wars. 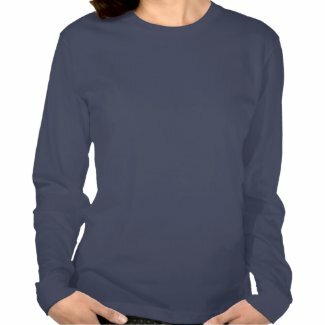 I was bullied, but not particularly over them. I disliked boys, because several were bullying me. Now that I see reports of what goes on at some of the comic conventions and the ‘white boys club’ mentality, I wonder if some small minded ones were jealous. Maybe they thought I was intruding on their turf. Girls didn’t see why I disliked them, nor why I stayed with My Little Pony and Star Wars (and horses in general) while they were growing into makeup and fashions. I don’t know, perhaps I just saw, and still see, that there are more important things than how you look. More to the point, I notice there is still a big gap in mentality. Some people just can’t see past the ‘kid’ label they have on things. Why do adults watch a kid show or collect teddy bears or dolls? Well guess what naysaying adults. Some of us do. There is a whole industry supporting it. You don’t have too, but you have no right to deny the rest of us either. That poor kid must have felt very alone. Did he really have no friends, no support? For in this age of the internet, it seems to me it should be easier to connect to other ‘Bronies’. Did no one know how bad it was? Did no one, even someone unrelated to the ponies say, ‘let me help you find the others?’ It would not surprise me if they didn’t, for no one helped me. Finding so many like minded souls on the internet wouldn’t come for many years. On the flip side, as much as I dislike bullies, I have to note that no one writing these articles is a mind reader. The slurs and taunts the bullies used appear nowhere in the articles. Maybe it had nothing to do with homophobia and was just jealously. Perhaps they had nothing they were so passionate about and envied his having that joy over something. They don’t have it, therefore they will tarnish it. It isn’t just fear that causes bullying. The worst of it is, apparently it hasn’t stopped. At least, I haven’t been able to find the web site supposedly set up for him and his Facebook page has vanished. I’m assuming negative comments from people who have too little heart and too much time on their hands caused it to be taken down. I hope and pray this boy wakes up, healthy and well, no matter what the odds. If an outpouring of love can help, I’m sure he’s covered. For every bully there is a My Little Pony lover to counter, whether a ‘pegasister’ (female eqivalent of brony) or the brony. My Little Pony fans are a generous lot of all ages and the outpouring of MLP art, funds and tattoos in his name should tell him he’s not alone. Wherever there is a My Little Pony lover, he’s got a friend. For some inspiration on how others are trying to reach this comatose boy, check out this page full of art, just for him. ‘Art for Michael‘. Here is an interesting vid on the My Little Pony and Brony issue, dispelling some common misconceptions and even explaining how they came about. 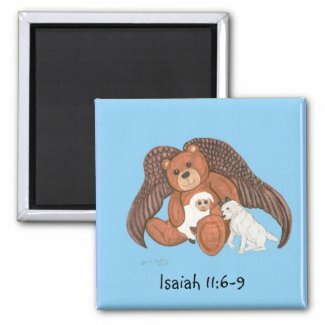 Spotlight on a Design: Isaiah Angel Bear. Isaiah 6 : The wolf also shall dwell with the lamb, and the leopard shall lie down with the kid; and the calf and the young lion and the fatling together; and a little child shall lead them. and 65 : The wolf and the lamb shall feed together, and the lion shall eat straw like the bullock: and dust shall be the serpent’s meat. They shall not hurt nor destroy in all my holy mountain, saith the Lord. The idea that nothing would hurt or destroy on God’s holy mountain was such a peaceful, appealing idea. It still is. I love animals, and apparently the whole predator and prey system will be changed on his mountain. As a member of a species that seems to be hurtful even to its own, I find it such a hopeful promise that someday, that even the animals won’t be like that. And if the animals won’t be, than maybe we won’t either. No more bashing politicians. No more mocking over insignificant differences. No more fighting and killing over money, land, or race. Right now, we must leave the wild animals wild or they will be killed, perhaps for poor reasons like sport, by accident like being in the wrong place and hit by a car or understandable reasons like food. But some day, maybe we too, can cuddle up with that previously wild animal. The bears really will be teddy bears. The wolfs will be as friendly as dogs. A lion may be a bigger wilder but still gentle cat. And we can be friends, not enemies or competition for resources. That’s my idea of heaven. Where lost loved ones are reunited and new friends of all species are made, and previous ills are just a nightmare that fades away in daylight. All the heartbreak and anguish of people suffering made me do it. All over the failure of political leaders. I do not blame either party. I, for one, blame parties in general. Both groups in deadlock, refusing to yield until the little people cry in pain. Party labels stick people in a box. The agenda must be this or that because of the label. People don’t fit in a box. they live and breathe with their own hopes and dreams. Sometimes the dream is greed. Sometimes its misguided. Even people who want the best don’t agree. This is our choice for leadership? It’s mind boggling. Its horrifying. And I don’t believe any of them at this point, even when they claim to have the same beliefs I do. Speaking of same beliefs, I’ll admit freely I have doubts that the government even belongs in some areas. Where do they get off closing ‘public’ parks? Don’t those belong to ‘the public’? And for politicians not to take their messages is pure cowardice. They know people are upset. They just don’t want to hear it. In reality things like health care and other issues should never have needed to go so far. The fact that something needs federal regulation means its broken on a lower level. For instance on a somewhat less ‘hot’ note: The tennessee walker shows were so rife with corruption the feds stepped in. Tennessee walking horses and the protection against ‘soring’ – a practice of putting painful chemicals on their legs to make them step higher in shows were so prevalent, it required federal intervention. How pathetic, that as many horse lovers as are out there, the horse industry couldn’t regulate itself. No, in spite of many chances, greed won out and the horses kept suffering. Which means greed won on a lower level. But what happens when the greed has infiltrated so high up the feds themselves are involved? Then everyone suffers. Who is left to regulate? So, I express my own discontent in my usual fashion: with my art. Not a new bear, but newly used with different background and text. 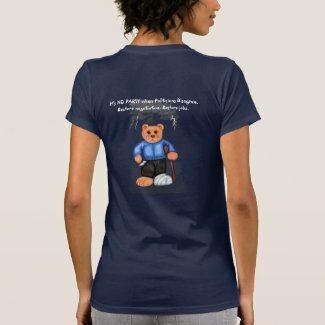 Are Teddy Bears and other Hobbies Frivolous? Frivolous. Dictionary definition: carefree and not serious. It’s antonym is considered: serious or important. I was scrolling through teddy bear images, just to brighten a gray day. And I came upon the headline about the Boyd’s Bear store in Pennsylvania closing. More people out of work and darn it, I’ll never get to visit. But it was the comments that really drew my eye. There were comments calling teddy bears and teddy bear stores frivolous. The attitude was that teddy bears were a waste of time. After all, they are a toy or collector item. They usually just sit and look cute. This got me to thinking. Are they ‘pointless’ in today’s society? And suddenly I was indignant. I thought of people jumping up and down in war paint at football games. I thought about those same people turning up their nose at those of us who are science fiction and fantasy fans and convention. I thought of people who hunt for sport. And what about people who chase a little white ball around a golf course as a hobby. I suddenly wondered who is one person to claim another’s hobby is frivolous. In this modern world we fret about war, about gun control and paying the bills. We may have a roof over our heads and food, but that doesn’t mean we have all we need. True, we have more than many. But we have a spiritual and emotional needs too. And all that stress takes it’s tole on our well being, on our emotions and even our physical health. Without frivolity, without laughter and smiles, we would self destruct. Nearly all hobbies have one thing in common: the ability to get us to relax. Most have another feature as well, they improve our skills in some area. Maybe it’s hand and eye coordination, or creativity, problem solving or physical education. But they are all ‘play’ for the one who loves to do them. I can’t imagine that anything that keeps us from self destructing, calms our tattered, overworked nerves and keeps us healthy is truly unimportant. So I’ll keep my teddy bears, thank you. And when I can’t buy, I’ll look and draw. Because it relaxes me. And that is anything but frivolous. 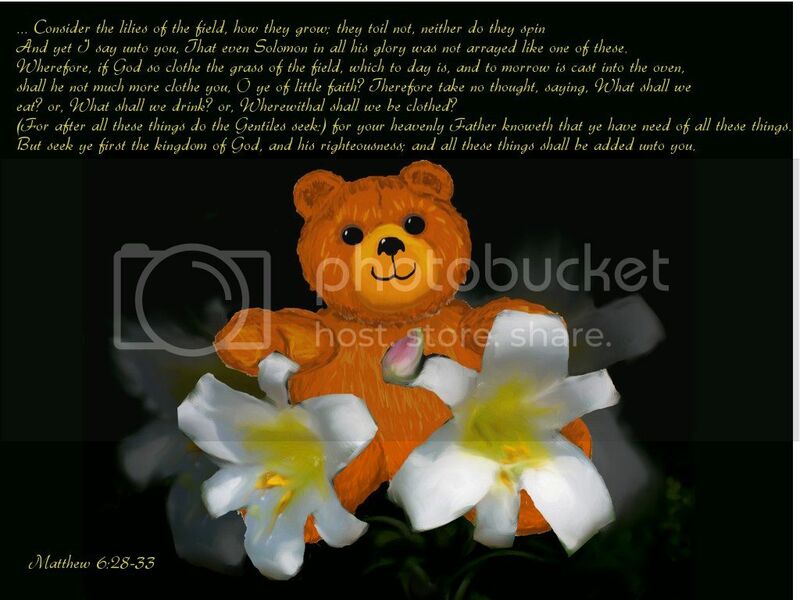 Teddy Bear in the Lilies with Scripture Verse about Stress. How distressing. So distressing I can’t ‘bear’ to stay silent. Yes, I know they have too many. And yes, I know I’m ridiculously sentimental. And I can see that turning the excess into parts of a memorial make sense. But turning teddy bears into bricks? OUCH. UGH. Those poor bears. My approach would be entirely different. I would ‘pass on’ the unused bears and items. Sure we know about the families and children involved in the shooting. But what about the ones we don’t know about? Are there no other grieving families there, whose children were lost to accident or illness? What about in neighboring counties? No children in hospitals that would appreciate them? No kids whose families are hard up and could use the school supplies or toys? I know the logistics sound difficult. But ‘passing on’ the gifts to those with nothing would be a tribute in itself. It would honor the fallen and help the living too. There are plenty of other ways to ‘build’ a memorial without the bears. For that matter, how about a ‘teddy bear auction’ with proceeds donated to a charity of the families choice? I bet that $5 Wal-Mart teddy would go for a lot farther if put up in a charity auction. Must we resort to ‘cremating’ unused teddy bears into bricks? How heartbreaking. Don’t ask me to explain why I hurt over a threatened teddy bear, or one abandoned in a thrift store. I just do. And I hurt for a real animal that is driven from it’s home by human encroachment. And yes, I can still have room to hurt for those families too. Better too be too sensitive on these subjects than not sensitive enough. I think our hearts are meant to be like Doctor Who's TARDIS: bigger on the inside than out. So, visitors, what would you do with the teddy bears in a memorial? Any creative thoughts? Two Teddies who have no fear of being turned into bricks. They get to pose for artwork. A Big Group of Teddy Bears – these live with me. It’s raining teddy bears in Sandy Hook, Conneticut! Yes, bear lovers and sympathetic folks everywhere have sent love in teddy bear form en masse. So en masse that the people of Sandy Hook are now drowning in bears and asking for donations to the United Way instead. This is a thought provoking moment: can there be any such thing as too much teddy bears? As too much love? NO. However, love does need room to expand so it doesn’t smother. How about donating some of those cuddly bears to others in need? Not every lonely child or grieving mother makes the news. Yet children die without being shot and some live without a parent because that parent is overseas defending our country. And to be fair, there are kids in some countries who've never laid eyes on a toy! So let’s consider our options and look around. Who else needs some love? I guarantee you, there is somewhere for a teddy bear to be sent on a mission of delivering love. We need to learn to find it in the smaller more personal tragedies too. For the single mom who can’t afford her kids birthday because it’s too close to Christmas, to the orphan, to the sick children in the hospital….they are there all the time. It shouldn’t take a gunman to make us notice. So bring on the bears! They have a mission! Merry Christmas to you and your teddy bear.